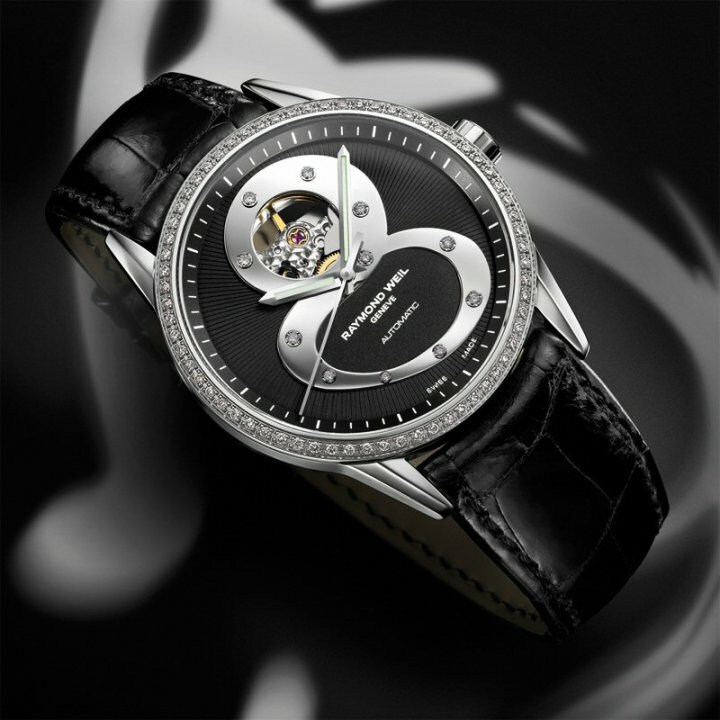 The newest designs from Raymond Weil are creative and symbolic. In the creation of the Freelancer Black 8, symbolism abounds. Raymond Weil is an independent company, with individual views on watch making. This uniqueness shines through in the personality of the Freelancer Black 8. The dial is a dreamy interpretation, full of spice and allure. The number 8 is indicative of the eternal. The never ending curve of the shape is symbolic of everlasting life. This powerful novelty watch by Raymond Weil uses the number 8 to display and promote infinite prosperity. The luckiest number in the universe is the centerpiece for the dial of the Freelancer Black 8. It is used in an, almost art deco fashion to display the hours, marked by diamonds. The release of this watch comes on the heels of the companies global expansion project, and is an apropos sign of Raymond Weil’s desire to become infinitely prosperous, themselves. The privately owned and operated watch maker has come a long way in a very short time. Using the traditional designs from the past and bringing them, full throttle into the future, with technological advancements and forward thinking designs has pushed Raymond Weil to the front of the pack in just 40 years. I wonder what the next 40 years will uncover. Discover Raymond Weil, unveil excellence.